Women are powerful individuals who, throughout their lives, attempt to juggle jobs, children a social life, house duties and not to mention other halves! Life for women can become insanely hectic. But here at Stackers we understand the strain of trying to balance so many different things. So guess what? We have come up with a few solutions to help you manage the minor things in life. 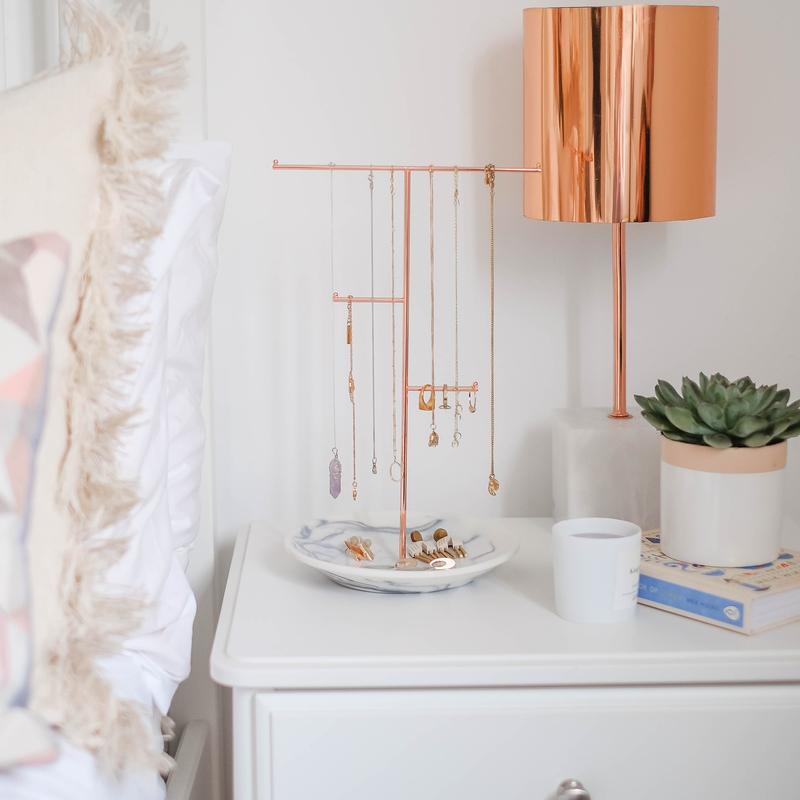 Getting you organised and keeping you that way! To prevent wasting time, making more time for the things that you love most! Our new Cleaver Living collection has finally arrived! We have designed a variety of luxurious products to help you through the madness of everyday life. Each of the products are available in three gorgeous neutrals, Black, Blush and Taupe. Enabling them to be worn on every occasion with any colour! 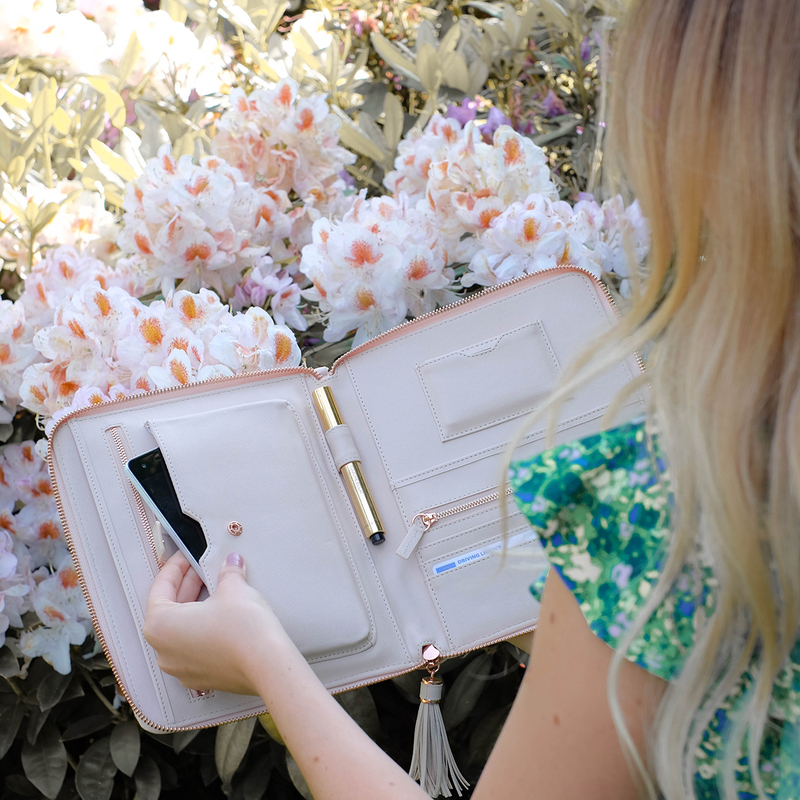 This luxury faux leather Clutch Bag is perfect for the office and for nights out on the town. A brilliant transitional bag that suits every event. 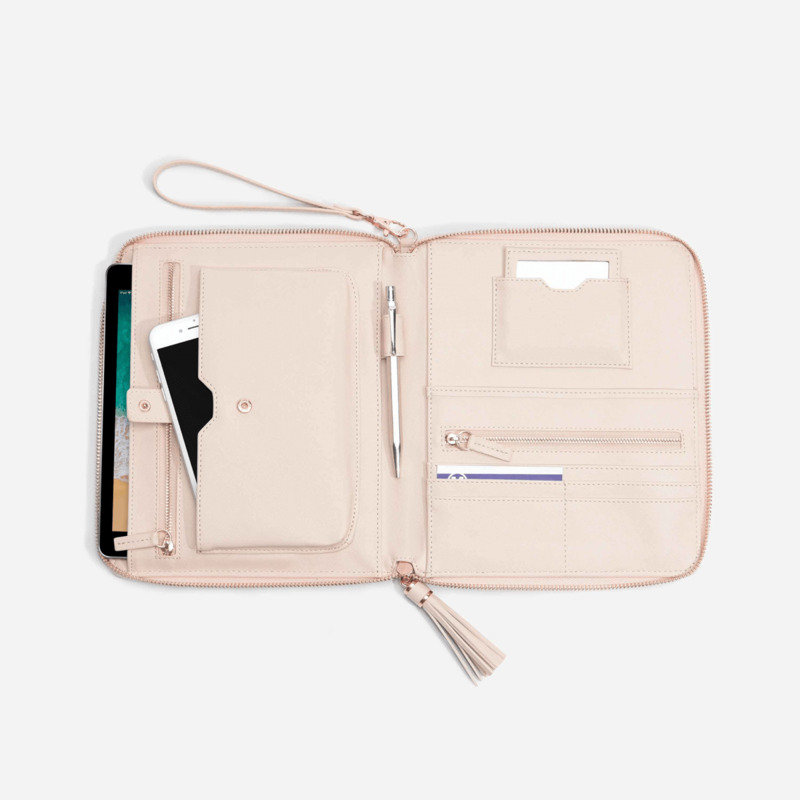 The Clutch Bag has compartments for all the office necessities; a secure phone pocket, a pocket that can hold a small tablet and a pen loop. 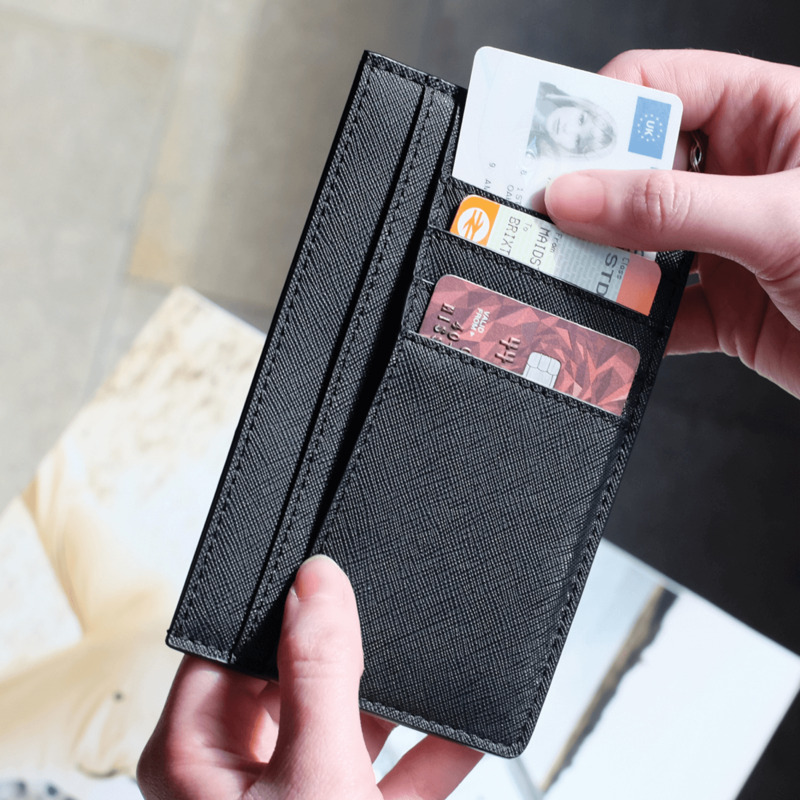 Alongside compartments for all the must-haves for day-to-day and day-to-night; a handy pocket mirror, card slots, and a zipped pocket for any loose change. 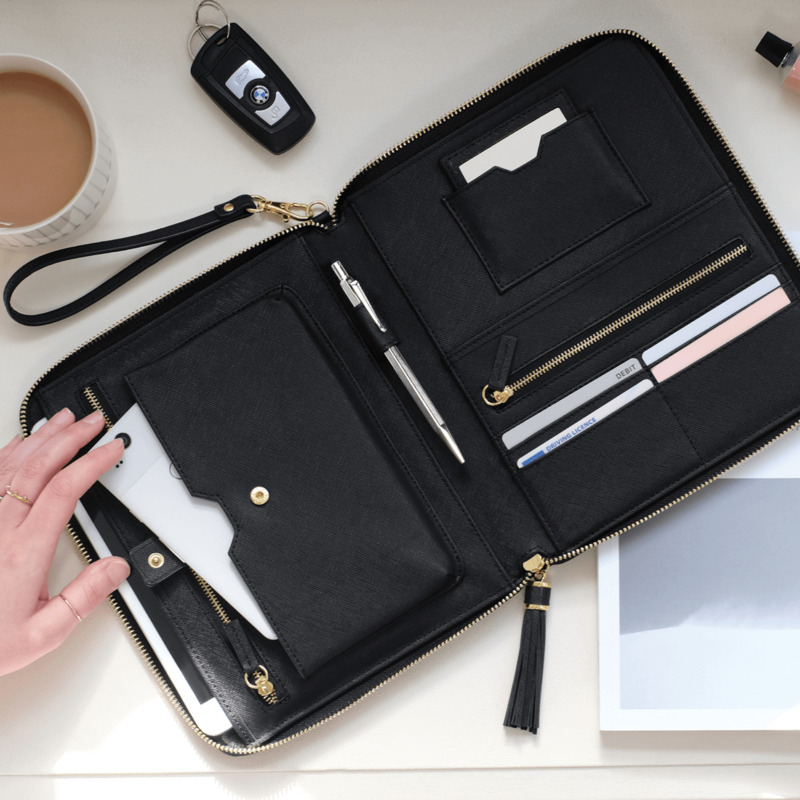 The Clutch has a detachable loop handle that makes it easy to carry when trying to balance everything else you need to get done. As well as leaving you a free hand to drink coffee. 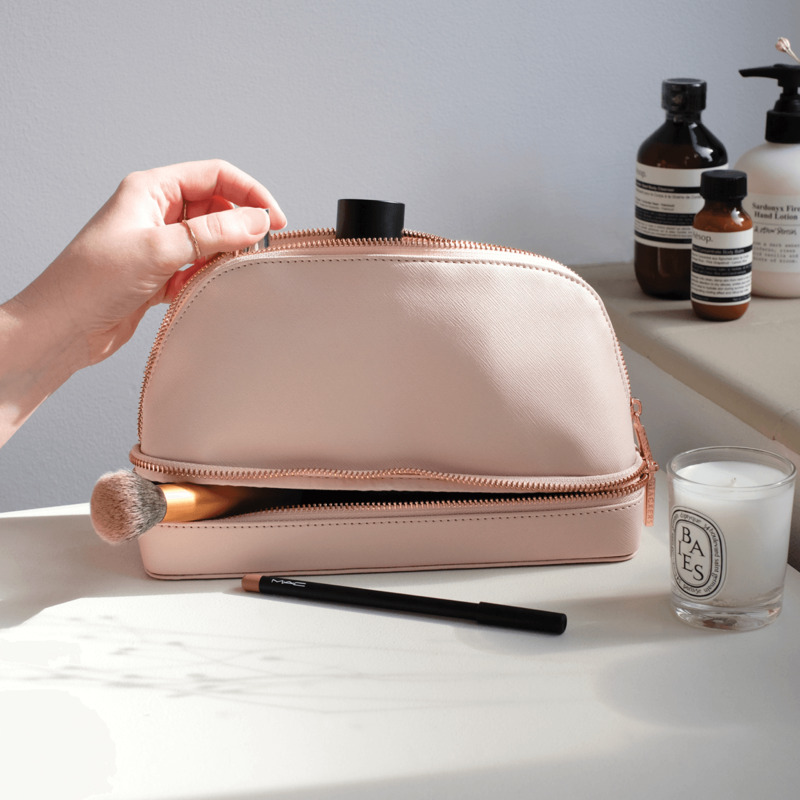 Smaller than the Clutch Bag, The Pouch is ideal when it comes to having a little bag for the loose bits of makeup floating about in the bottom of your bag. Your days of rummaging for your mascara are over! With an inside pocket your bobby pins will be safe from their usual disappearance act! 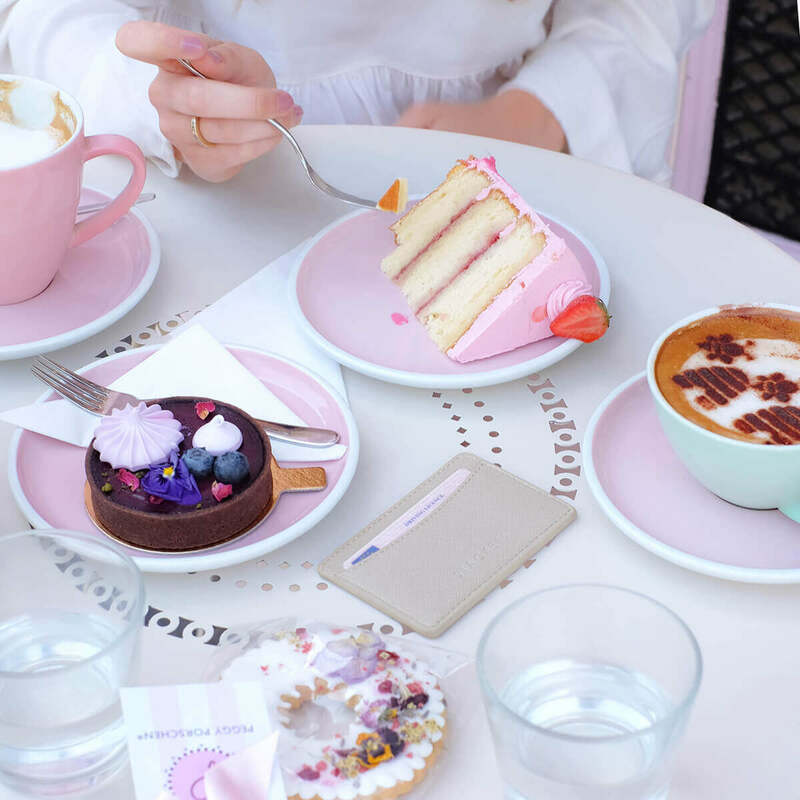 The inside of The Pouch also features an adorable heart stamp, whilst the outside is a luxurious saffiano texture and bears the Stackers branding. As women, we love makeup. And somehow, we manage to end up with loads of it. 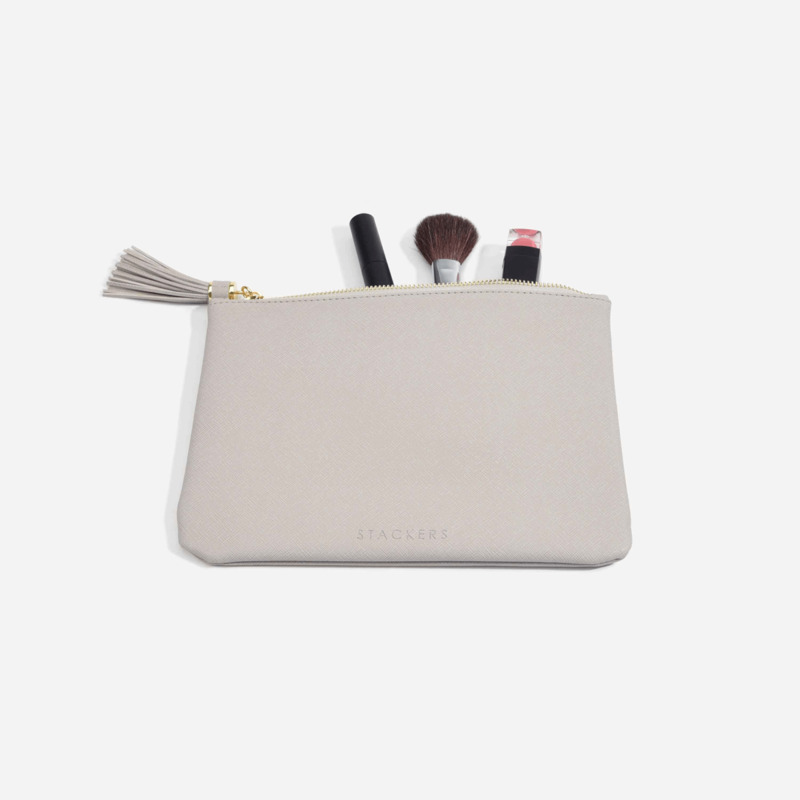 This Make Up Bag is the perfect size for your daily products and must-have brushes. 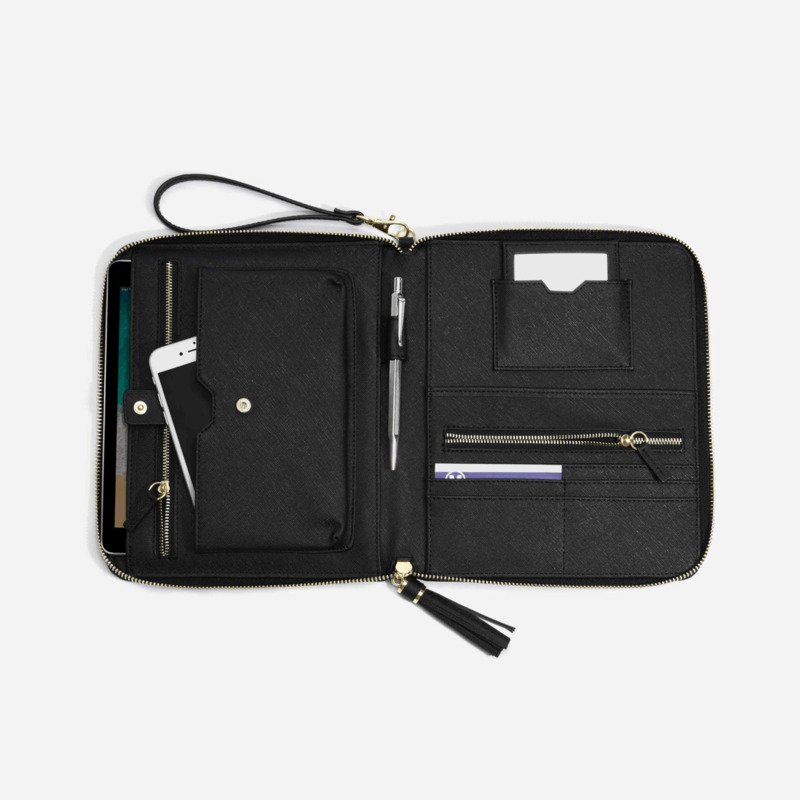 With the separate compartment for the brushes it keeps everything neat and tidy. Easy to pop in a bag, ideal for travel. 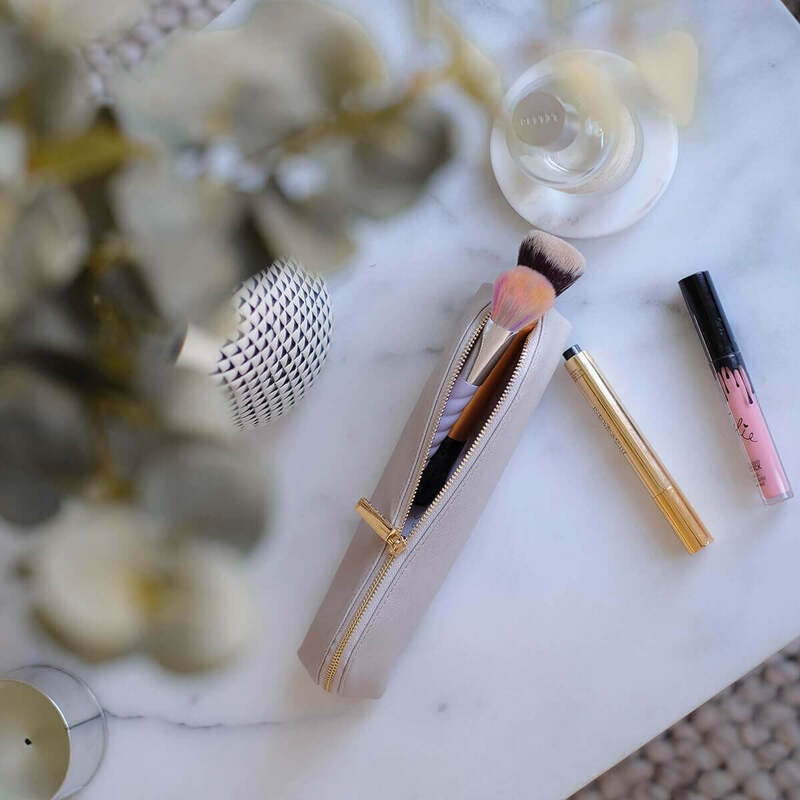 This dainty little Brush Case is perfect for housing your brushes but can also double up as a pencil case. An excellent way to keep them all together. Plastic money has become a huge part of our everyday lives. Dealing with cards is much easier and quicker than faffing with cash these days. 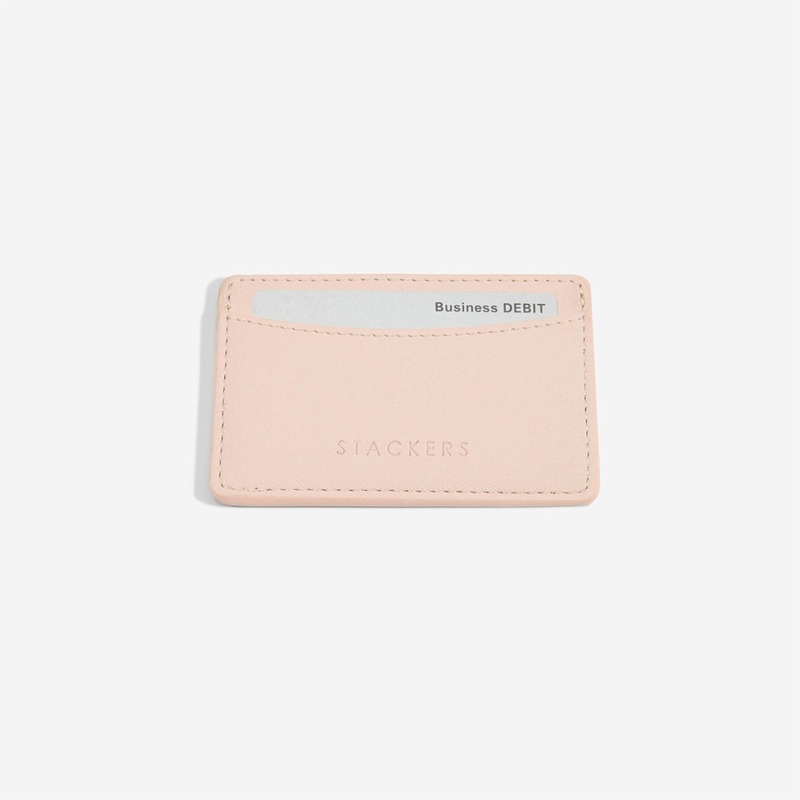 Available in two sizes, it has space for both cards and a passport, perfect for light travel. 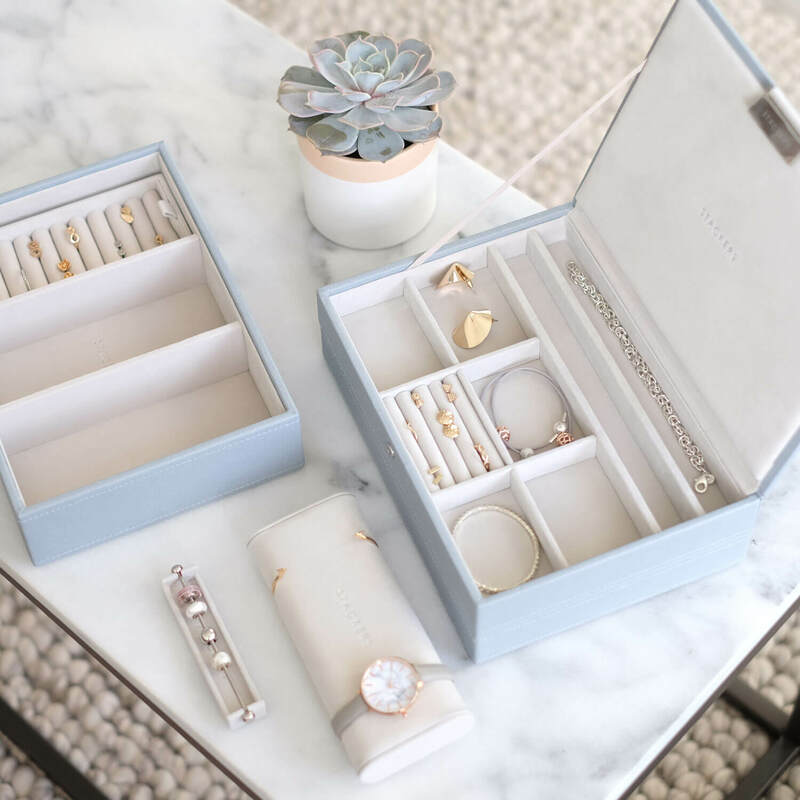 For those tiny handbags that can fit barely anything in them but just look perfectly with your outfit, or are just easy and light to carry about for a long day out. 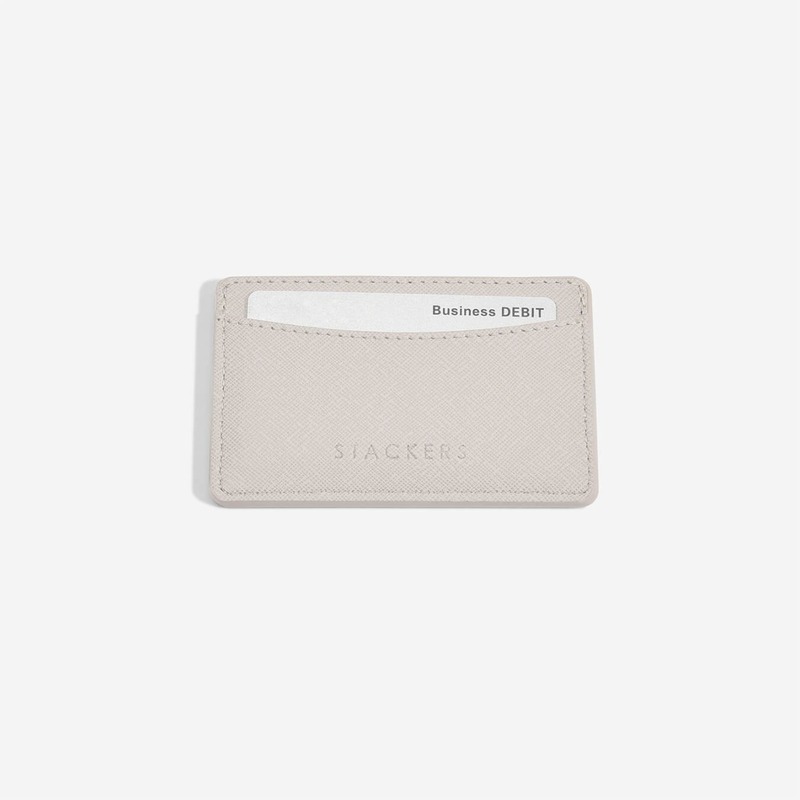 The Small Card Case fits the minimal necessities within it. With a lovely textured finished it has a luxurious feel to its practicality.